Hey. It’s Pi Day! It’s not “pie” day, but I made it pie day by putting pi on pie. Now it’s a party. I don’t usually do posts for these crazy food holidays just because I’m never aware of them in advance. You know, like when it’s National Chocolate Cheesecake FroYo with Sprinkles, Oreos, Cookie Dough and Hot Fudge Day and you would have totally been all over that if you had known. (That is definitely what I get at Yogurt Mountain, btw.) But Pi day is simpler and doesn’t require you to do a Google search for “official” food holidays. It’s all just silly sometimes. Pi is 3.14 and today is 3/14 and that is all. But enough about Pi. We’re really here for pie, so lets get to it! This is the easiest apple pie ever. And there is brown butter in it. This pie starts with a package of Pillsbury pie crusts, which is partially why it’s so simple. Sometimes you just don’t have time to make the homemade version, but you should definitely go for it if you do. Then you chop up some apples, or slice them if you like them sliced, and stir them together with brown sugar, cinnamon, flour, and a stick of butter that has been browned and cooled. Just to be clear, the butter should still be liquid. It doesn’t need to solidify or anything. 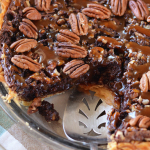 Before the top pie crust goes on, drizzle all of it with some caramel, pop it in the oven and go freak out with your mom about her friend’s cousin’s performance on American Idol. I know a lot of people are still bummed about the time change, but oh my gosh it is still light outside when I get home from work and I love that. Took some photos during the middle of the week and everything–what a miracle! Ha. Anyway, if you’ve got some time over the weekend, you should definitely give this pie a shot. It’s simple and comes together quickly. Preheat oven to 425 degrees and lightly mist a pie pan with nonstick spray. 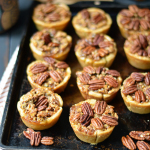 Place the pie crusts on your counter or table to thaw. Combine brown sugar, cinnamon, and flour in a bowl and whisk them together. Peel and chop (or slice) apples and drizzle with lemon juice to prevent them from browning. Add brown sugar mixture to the apples and toss to coat. Add brown butter and stir well. Place one pie crust in the pie plate and trim the edges. Pour the apple mixture into the pie crust and spread out with a spoon. At this point, I drew the Pi symbol on my second pie crust by lightly pressing a knife into the pie dough, and then I cut it out. Lay the second pie crust over the apple mixture and trim the edges. Decorated the edges if you'd like. I used my fingers, but you could also use a fork. Bake the pie for about 10 minutes, or until the top crust turns a light golden-brown. Take the pie out of the oven and carefully cover it with foil. Don't cover it too tight, just enough to keep it from falling off. Make sure all of the crust is covered to prevent over-browning. Bake for 35 minutes. Remove pie from the oven and let it cool. Best served warm with a scoop of ice cream! Friday, pie day. That should be a thing. I always forget about Pi day until it’s March 14, and then get sad because I didn’t do anything. Those caramel apples and brown butter are calling my name! I love how easy this pie is! Usually I don’t remember these things either, ha. Thanks, Faith! I’m not a pie person at all. But I want this pie. Badly. Thanks, Zainab! Yes, I’m so glad it’s light outside later in the evening. Makes photographing thing for posts so much easier! 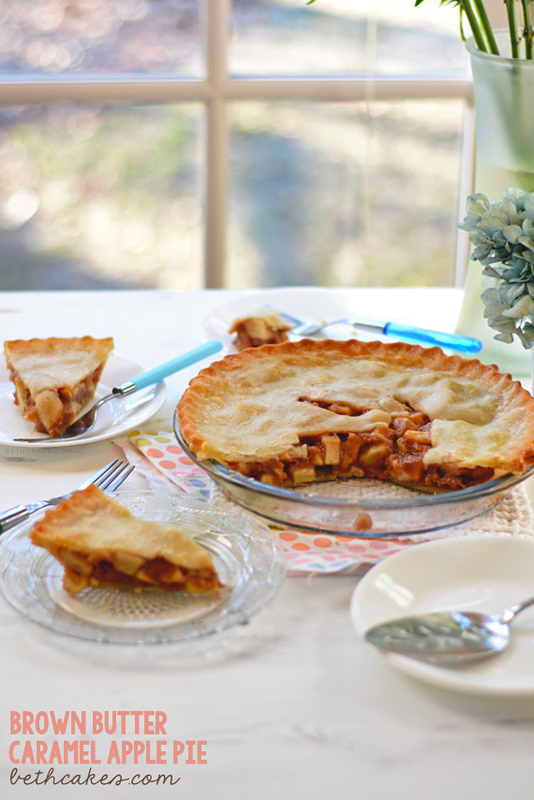 Love caramel apple pie, and I am sure it’s even better with brown butter. Happy Pi Day indeed! Thanks, Ashley! I’m loving the time change. It’s so nice being able to get stuff done during the week now! 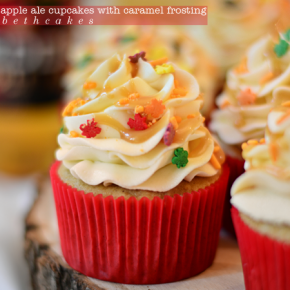 Apple, caramel, and brown butter? You got my attention with at combination! Looks like a fantastic pie, Beth. Great post! Can’t wait for the time change to happen over here … it’s next month I think. Maybe it’ll even be possible to take photos when I get home from work! 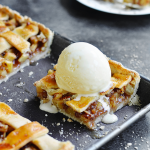 As for this pie, I love simple classics … with a slight twist like this brown butter version. Caramel apple pie is delicious so I bet this brown buttery version is amazing, too! Thanks, Helen! You should really try it with brown butter. Ah-mazing. 🙂 I hope the time change makes it possible for you to take pictures too! 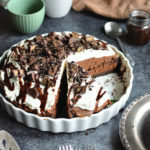 This pie looks incredible Beth! 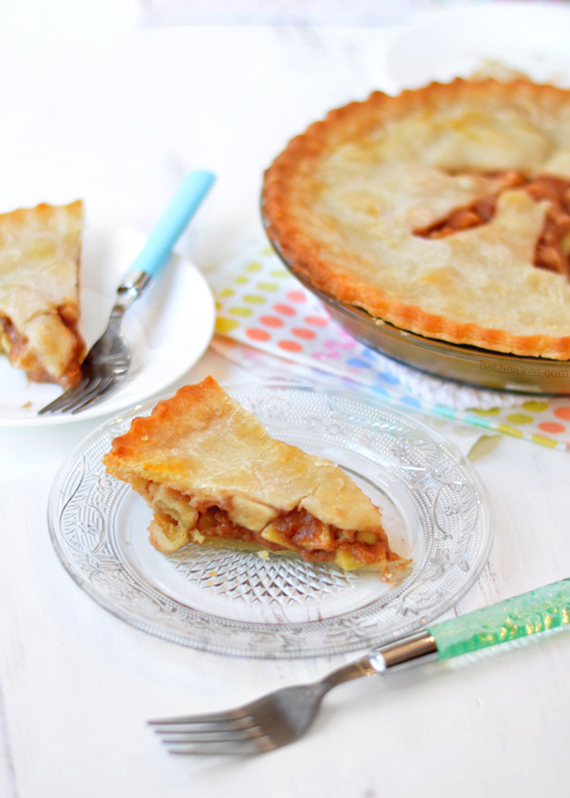 Apple pie is my favorite and adding brown butter and caramel makes this pie so irresistible! Love the time change for pictures – also means spring and warmer weather soon hopefully 🙂 Have a great weekend! Thanks, Kelly! Yes, I am so excited about the time change and warmer weather! Spring cannot come fast enough. Hope you’re having a great weekend too! I love apple pie! And the Pi in your pie turned out great. Pi day is the best! And I totally feel like I miss every other random food holiday, but this one is easier to remember! We should create a national froyo day because that would be the best and we would know when it is haha! This pie is so cute I love the pi symbol that is crazy good! 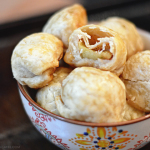 I am all about the Pilsbury crust – it tastes great and is just so easy!! This pie looks great, and I am so impressed that you were on top of Pi day! So fun! I need to remember to make something next year! Oh yes, I am all about the Pulsbury pie crusts! So, so easy. Thanks, Cate! I love that you put Pi on pie! Gorgeous! KILLING me with the brown butter, and the caramel, and the little pi on the top is too cute. I get more obsessed with your blog each time you post, girl! Pinned! Oh my gosh, Beth! That pie is gorgeous. Scratch that, it’s perfect! 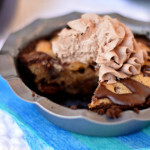 I always forget about pi day and never actually post a pie recipe! This one looks perfect … and with brown butter, I mean come on – so good! I’m loving the time change now too – I love being able to go for a walk at night and it’s still light out! Thanks, Ashley! I’m loving the time change too. I feel like I get so much more done in the evenings! Teehee you know I used to hate pi day because I was terrible at math and the idea of a math-related holiday sounded AWFUL. 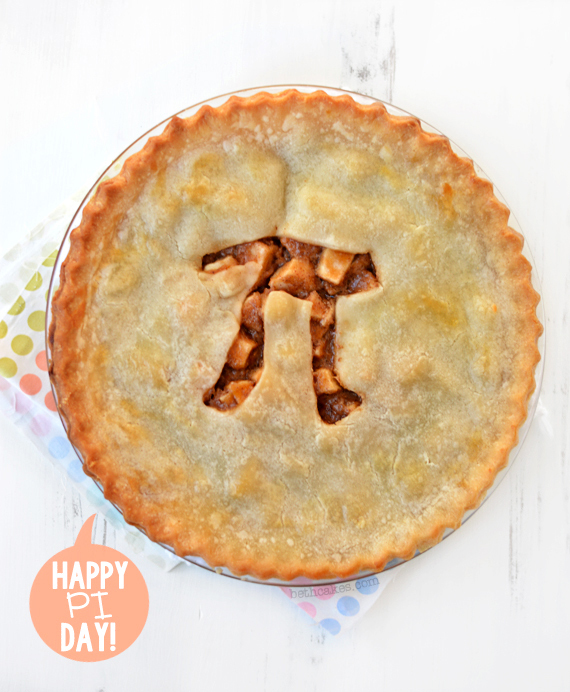 But if there had been PIE, perhaps I would’ve liked math a little more…. Probably not. But oh well, there’s PIE! 😀 Gorgeous brown buttery apply pie! YUM! Oh my gosh, I was terrible at math too. Absolutely hated it. But in my world, pi needs pie and I feel like everyone would agree, haha. Thanks, Jess! Your photos are so pretty – love that natural light. Is that in your kitchen? So so good! And brown butter is my secret weapon for everything! Thanks, Shikha! It is in my kitchen. Thankfully there’s more light to work with now that the time has changed! Totally need to make! It seriously looks amazing! even just the name of this has me drooling!